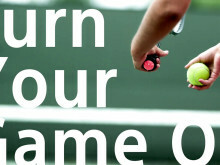 Tennis fans can now take advantage of recent innovations in smart, mobile technologies to help them reach their sporting goals. 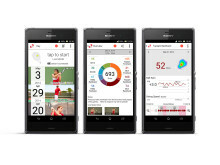 The Sony’s SSE-TN1W Smart Tennis Sensor will connect with your smart-device to make it easier than ever to track your tennis performance accurately.Analyse, review, share and compare your progress against concrete targets, keeping yourself motivated to continue your way towards your ace play. 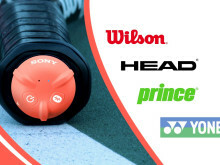 Sony partnered with top tennis manufacturer Wilson, as well as HEAD, Prince and YONEX to ensure a perfect fit of the smart tennis sensor with their sleek yet performance-driven rackets known to generations of players.Thanks to its sensing technologies and newly developed vibration analysis mechanics, it has never been easier to analyse your tennis performance. 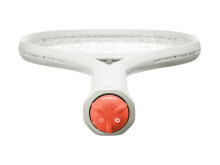 After charging the sensor, simply remove the racket logo cap, affix the attachment ring onto the grip end of the racket and place the tennis sensor onto the attachment ring. 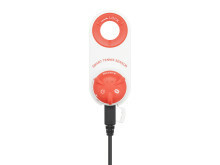 Turn on the sensor and start playing – the device will start recording a vast range of data such as number of shots, ball impact spot, swing type, swing speed, ball speed and ball spin. 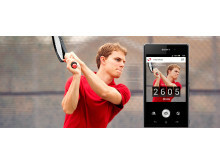 Even when switching rackets, the sensor can be conveniently transferred any time, along with all recorded data to other compatible racket modelsmaking Sony’s Smart Tennis Sensor a long-lasting partner in the player’s sports development. 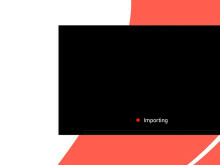 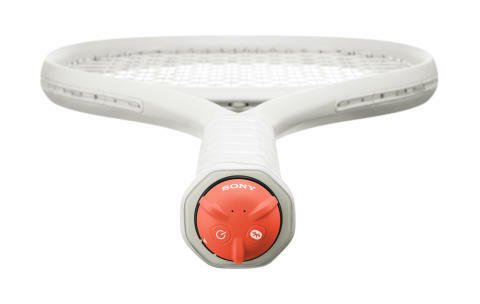 Sony’s Smart Tennis Sensor is officially approved by the International Tennis Federation (ITF) for use in competitions. 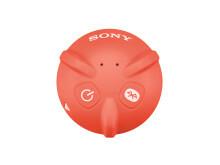 Water-proof JIS/IEC protection level 5 (IPX5) equivalent *Prevents water damage from all directions.